cadnyny has no other items for sale. 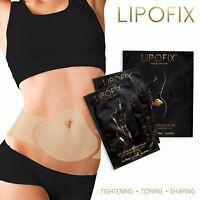 20 Detox foot pads detoxifying patches weight loss pain reduction U.S. Seller! If you have been looking for a natural way to lose weight, your wait is over. This body wrap is the natural way to slim your body. 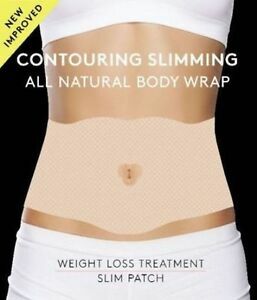 It works by tightening the wrap around your body to create a contour effect. When used over the course of a period of time, you will begin to notice results as your body begins to slim in line with your goals and expectations. You will grow to love the new you as a result. I am now about to use my third wrap tonight and I am impressed. Slowly but surely I do notice my stomach is getting more toned and tighter. I workout and try to eat a good diet, but toning the abs and stomach takes time. I feel that the wraps are helping to speed up that process. These wraps work for me and they did not irritate or break out my very sensitive skin. The wraps are easy to put on and take off, you will forget it's there. The only reason why I gave it one less star because I thought I would see immediate results after the first wrap but I did not. Everyone's bodies are different though. I'm really undecided, I feel like it may have worked, I feel like I may have lost a 1/2 inch in my stomach but I was also dieting at the time. I need to lose about 3 inches. I am actually debating on trying it one more time. I ordered five Body Wraps and so far only used three. They are easy to apply, with absolutely no mess after, which I love! After a 40 minutes, I can feel my skin getting warm under the wrap, but nothing uncomfortable. I can already notice my mid-section looking tighter...can not wait to see the difference after I use all five!! Will you lose inches? Not necessarily. Will it tighten and tone and reduce jiggle? Absolutely! I’m naturally thin but I’m “soft” and not toned. His product helps me feel much better about myself. I have used it on stomach, bum, my upper arms and inner thighs with success. He results aren’t very long term so don’t expect this to work forever. I’m a fan and use this periodically during the summer. The application was easy, but the directions arent incredibly clear. They dont smell, and you can only feel that its on for a short period of time. The removal was a bit of a sting, but nothing unbearable. Im not a big girl but Ive got extra skin from having a baby, and after one use I can tell its firming up.